Elegant. Timeless. The quintessential symbol of love. A knife-edge band adds depth and detail while providing a sturdy base for everyday wear. A 6-prong setting elevates your stone, making your statement piece one that sparks a reaction, every time. An elegant, tapered band allows your stone to have stunning presence. 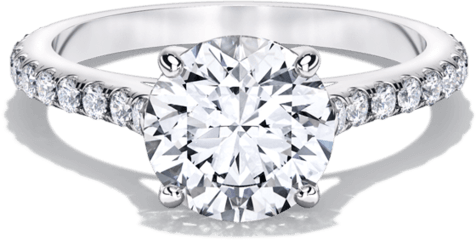 This style features a 4-prong cathedral setting, allowing you to view the stone from different angles. A modern band that is understated yet refined. A lower profile setting lets your stone rest a little lower, making it a sophisticated ring easily adapted for everyday wear. Not to mention one that naturally shines in any occasion. 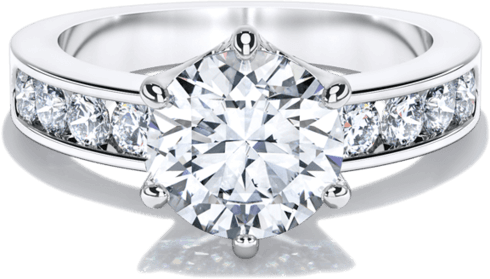 They say a solitaire diamond represents a singular love shared between two people. 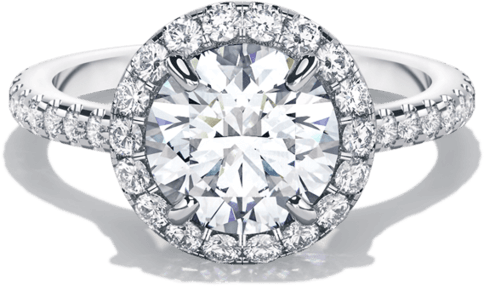 When designing our flagship ring, we were inspired by the iconic and legendary love stories of past and present. Romance. Tradition. A refined statement of joy.